their favorite +40 blogger, and write about it. This is the fifth of the series. Sara D, the charming voice + eye of HELLO THE MUSHROOM took on one of our all-time, all age favorites, Vix, aka the VINTAGE VIXEN. The Vixen, style maverick, secondhand shopper extraordinaire, is somebody we could read about all day, everyday. CITIZEN Sara: It's hard to imagine that there will be anyone out there in blog-land who doesn't know Vix. And why wouldn't you? This lady is a force of nature and it would be hard to stay indifferent not only to the colorful clothes she wears, but also her personality. She is an intelligent woman, with a sense of humor that is as vibrant as the clothes she wears, and this transpires in the answers to the questions I mailed over to her. Enjoy!
" the basic content and the message remains the same, get out there, dress and live the life you want to." 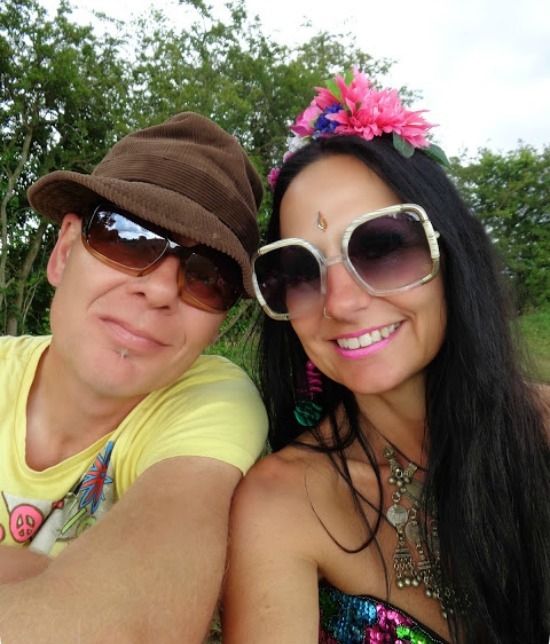 CITIZEN Sara: For those who don't know your amazing blog, how would you describe it? 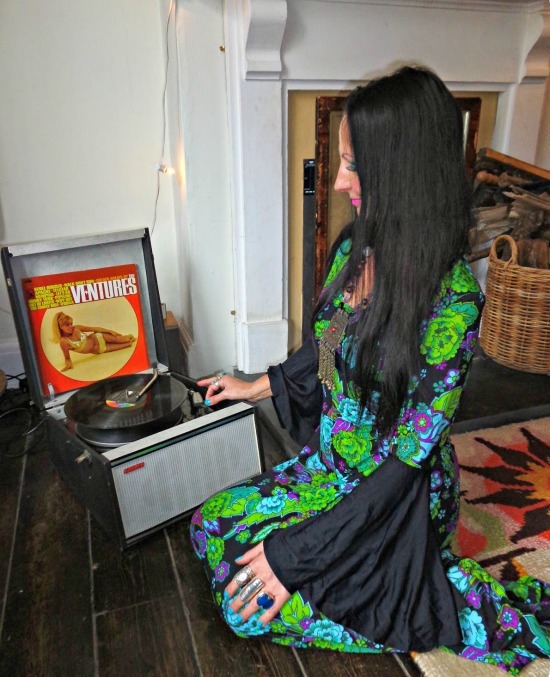 Vix: Vintage Vixen is my on-line journal so its basically all about me, Vix. I share snippets of my life, my wardrobe, my home, where I've been, what I've sewn and the odd rant about stuff currently annoying me. CITIZEN Sara: How long have you been blogging and how do you think your blog has evolved ever since you started it? Vix: I started my blog in 2009. I used to be a regular contributor to a forum discussing daily outfits and where our clothes came from. 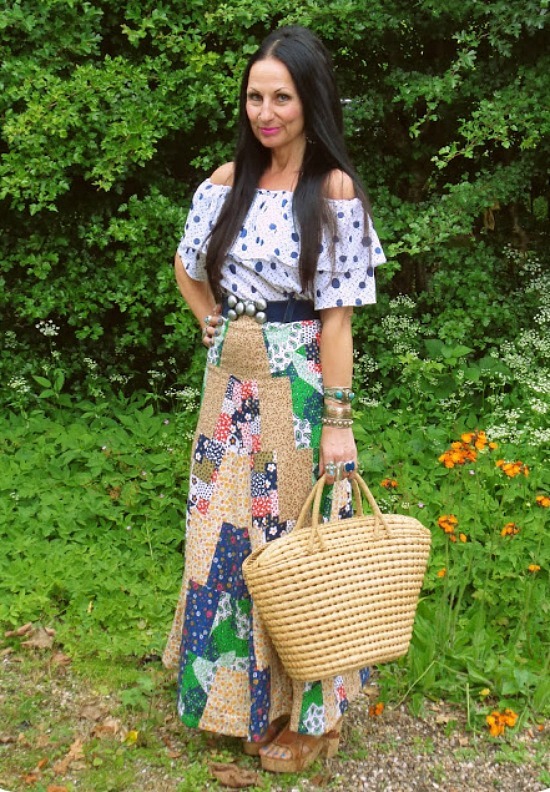 After numerous requests from other members curious about a forty-something woman dressing exclusively in second hand clothes with no interest whatsoever in fashion, I decided a blog would be the perfect platform to share photos of my second hand finds and outfits. For the first few months I photographed my clothes on a mannequin as I didn't feel comfortable posting pictures of myself on the world wide web. The first time I braved posting a photo of myself in an outfit I was overwhelmed by positive comments and never looked back. When I started I posted almost every day but, as my blogroll increased, I no longer had the time to comment on other blogs and to produce qualityposts so I now limit my posting to 2 to 3 times a week. Originally my posts were more wordy with smaller (and rather poor quality) photos. Whilst I love to write I realize that most people don't have the time to trawl through an achingly long text so I've learnt to condense my writing and punctuate it with large, clear photographs. Other than that the basic content and the message remains the same, get out there, dress and live the life you want to. CITIZEN Sara: What inspires you the most when you put your outfits together? 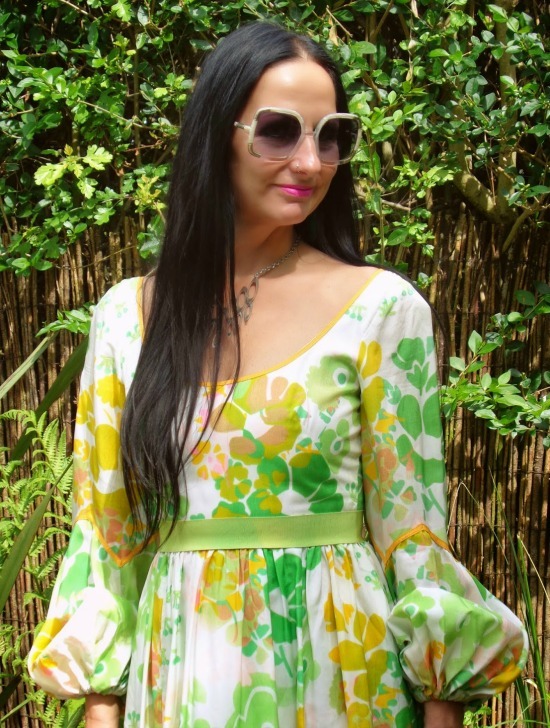 Vix: My wardrobe is my source of inspiration, I just pull open the doors and get slapped in the face with a riot of colour and endless possibility. Unless I've got to leave the house hideously early I never plan an outfit in advance, its just what catches my eye in the morning. As long as its makes me feel fabulous looking ridiculous doesn't bother me one bit! CITIZEN Sara: Do you have any advice for those who are afraid to let their freak out? Vix: What's the worst that can happen? You could get laughed at, looked at or insulted but I guarantee the person who does that will remember you. That's got to be better than being ignored, overlooked and instantly forgotten. Are you a 20 something who has a favorite +40 blogger they would like interview? Shoot us an email and let us know! 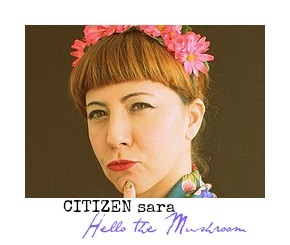 ABOUT CITIZEN SARA: Sara is a London dwelling shoe addicted crazy cat lady, who spends her time blogging about just anything. 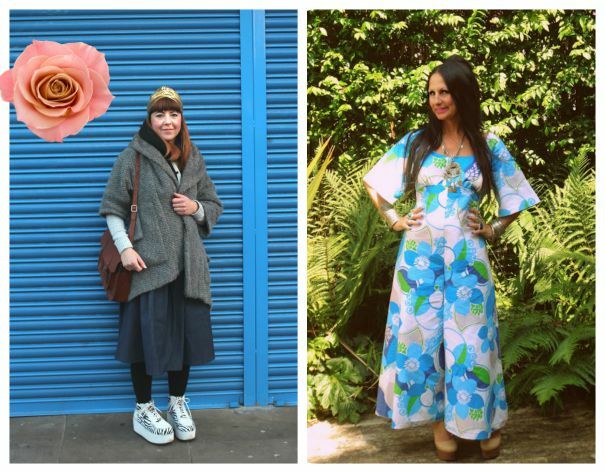 wouu, two of my favorite blogueuses together in one post at Citizen Rosebud, that's Fabulousness with a Capital F! loving them and loving you!! Loved reading about Vix, she is one of life's lovely people and it's always great to see her. The coat on the top photo was my mother in laws and a present to one of our favourite vintage traders. Love it. Love your lobster necklace too! Yes. "And why wouldn´t you?" Wonderful interview! Vix is fun, inspiring, creative woman with a bold personality and gorgeous looks - and it is always great to see her being featured and appreciated for who she is! Thank you! Loved this and adore Vix! Oh this was a good idea Bella. Great interview. I "know" them both.